Now, I don’t mind if I don’t get everything done in the month, a month is not a long time at all! But by getting things down on paper (or online) I’m hoping this will give me a bit of a boost of motivation to do things I really want to do. A chunk of my focus over the past month has been to grow my email list, something which is going quite well so far! But something I struggle with is creating newsletter content and what to send to my new lovely subscribers! As an organisation addict, my aim is to create a plan for my newsletter on Asana, similar to how I plan my blog posts, so I can have something to stick to and more of an idea what to post and when. 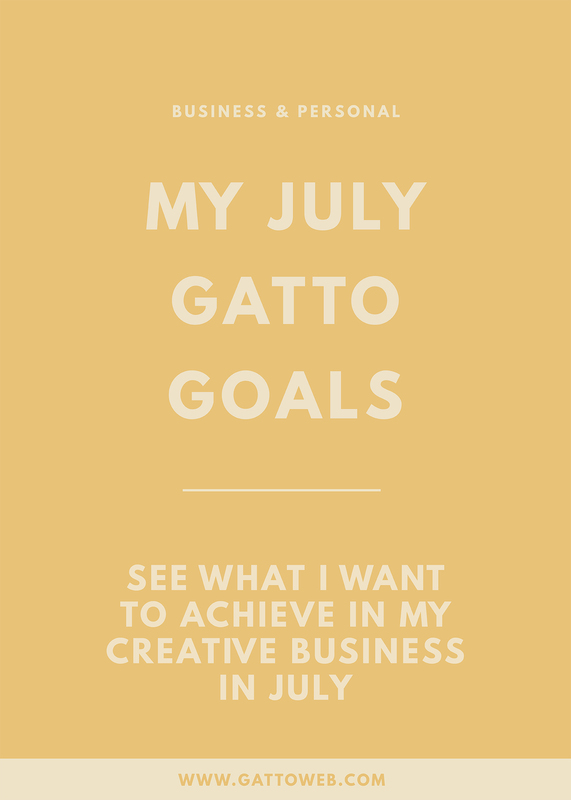 On the advice of my wonderful coach, Jen, I am going to challenge myself to work on Instagram every day for a whole month (I know July has 31 days but that just doesn’t have the same ring to it!). At the moment, I schedule Instagram posts and like a few photos when I’m flicking through, but I’d love to use Instagram to create a community around my work and hopefully as a bit of a marketing tool. So in the 30 days, I will spend at least an hour a day engaging with followers and people I follow on Instagram and hopefully start to get more of a feel of community on the platform. Pinterest has been a focus point of mine since completing Melyssa Griffin’s, Pinfinite Growth online course and it has been going really well! It has become one of my top referrers to my website and I get over 100 thousand views per month on my pins – amazing right! But the only content I post now is my blog posts and I’d love to use this visual platform to showcase more of my work. To do this, I need to create interesting, shareable portfolio graphics which can show off some of my past client work. Another online course I recently completed is Organise & Automate by Nesha Woolery and it was eye-opening and incredibly informative! Since re-launching my design packages, a few things have been missing from my process and I find it’s not as organised as it can be. I would love to take some spare time this month to implement the lessons I have learnt from this course to streamline my process and make sure it is as organised as possible so my clients have the best experience! Have you set yourself monthly goals? What are they? Hold yourself accountable in the comments!